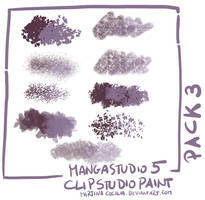 Brush files for Clip Studio Paint and Manga Studio 5 have the file extension *.sut (for example 'Square.sut'). Please keep in mind, drag & drop doesn't work for importing brushes! 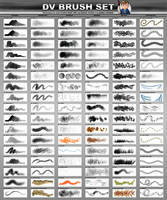 I posted some short descriptions for all brushes on tumblr! Please don't reupload them or claim them as your own. Hello you have the most impressive art using clip studio i've seen on the internet. I use csp (current) ex version so i downloaded these brushes. Not sure why so many people are having problems i just went to gumroad downloaded them extracted the file then opened csp. Then i simply drag and dropped them in one of the brush setting of my choosing. With that said i am a try beginner and hope to one day be on your level as an artist. If it doesn't take up to much of your time could you please explain which brush you use and for what task you most use them for so that in my drawing i will know ok this is best suited for this task etc. 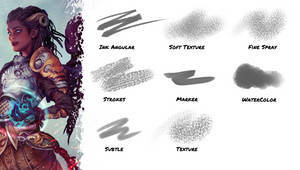 Also did you do the above paint using only these brushes if so amazing. Hey, thanks a lot! This means a lot to me. Believe me, when you love drawing and keep at it, you'll accomplish a lot. Honestly, this issue is very uncommon... my brushes have currently over 50k downloads and even if only 1% of the affected people leave a comment here, then not even 0.01% have this issue. And because I got no answers when I tried to help them, I assume they did something wrong or have an old csp version. 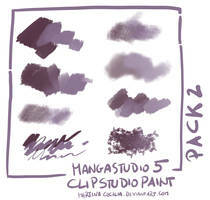 Anyway, I originally uploaded those brushes because I got asked about it on tumblr. 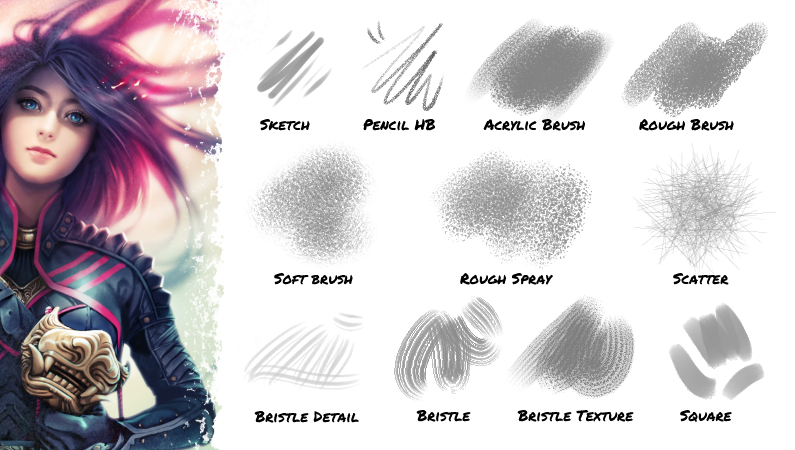 You can find my original answer with a small 'how to' here: What brushes do you use in clip studio? 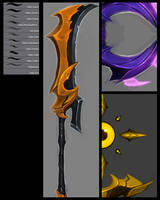 Also, I have a lot more brushes than I uploaded on dA, but mostly I used those brushes to create that illustration, yes. My most used brushes atm are: the pencil brush, the acrylic brush (used to be called 'brush' lol), the soft brush and the hard round brush. My fav standard brush from csp is 'Paint and apply'. You can find it in the watercolor section. It's really good for smooth transitions. Hey, thanks for you comment. I tried to replicate your problem, but importing the brushes works fine for me. I used the current version of Clip Studio 1.7.8 for Windows and Mac. I'd like to help you import the brushes, therefore I'd like to ask you some questions: Does importing other brushes than mine work for you? 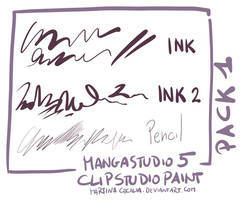 What version of Clip Studio do you use? 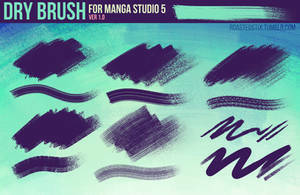 What operating system do you use (Windows/Mac) and from which platform did you download my brush set, gumroad or cubebrush? Did you unzipp the downloaded folder or just double click? 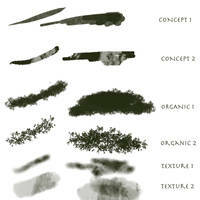 And finally, did you use the method to import brushes that I described here to import the brushes? Because please keep in mind that Clip Studio doesn't support 'drag&drop' for brushes unfortunately. If you used the method I described and it didn't work for you, then would you mind providing me screenshots or video of the steps you took to install the brushes? I tried the exact method, but I got "Failed to import subtool". 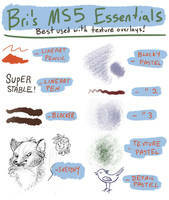 I normally have no issues downloading brushes. 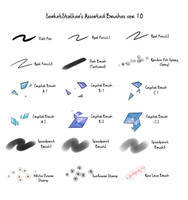 Can you provide me a video how you import the brushes? I still can not replicate the problem. Additionally, it would be helpful if you answer the questions above: Which OS do you use and what version of Clip Studio do you have installed? Did you download from gumroad or cubebrush and did you unzip the folder first? 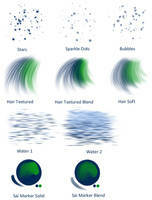 hello i just downloaded these brushes and the exact issue happens to me, i have High Sierra 10.13.6 / Clip Studio Paint EX 1.6.2, i downloaded from Cubebrush, please can you help me? Hey, thanks for your comment and stating your system and version information. You're using an older version of CSP, the current version is 1.8.5. Please consider updating to the latest version, it's free of charge and this issue seems to only orrur with earlier versions of Clip Studio Paint. If you're worried about losing your settings and brushes, create a backup of your system beforehand. All the settings are located in "[your home folder]/Library/Celsys", if you want a quick backup instead. Just grabbed these and am trying them out. Thank you! I've used your square brush for a couple years I believe (I believe it was your brush). 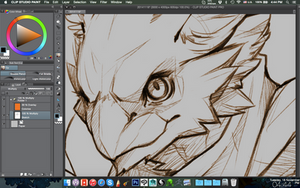 All my recent work has been mostly done by that square brush lol. 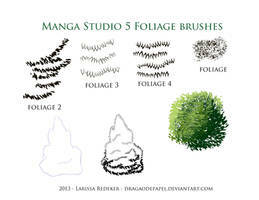 Thank you for sharing these brushes! Thanks, hope to use them!! do you have those same brushes for photoshop? This brush set has literally improved my workflow so much, they just feel amazing to work with and thanks for sharing them! You've made my life soooo much easier with these, thank you! Hello. I just started using Clip Studio Pro and I was reading guides on Clip Studio's official page. 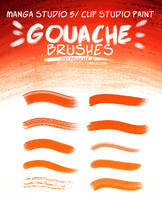 There was an article there that shared a link to your brushes and I'm going to try them now. They look really nice. Thank you very much for sharing! hi, thank you for your brushes! 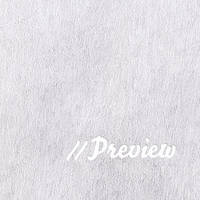 Secondly you need to make sure that the option "Mix ground color" in the brush settings is checked. Otherwise your custom brush will only work in black and white. You can open the brush settings when you click an the wrench in the tool property menu and then select "Ink" in the side bar. 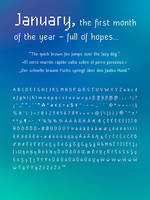 Hope this helps and a belated happy new year! Big thank you for sharing ! Nice brushes !